Happy Wednesday, My Lovelies! 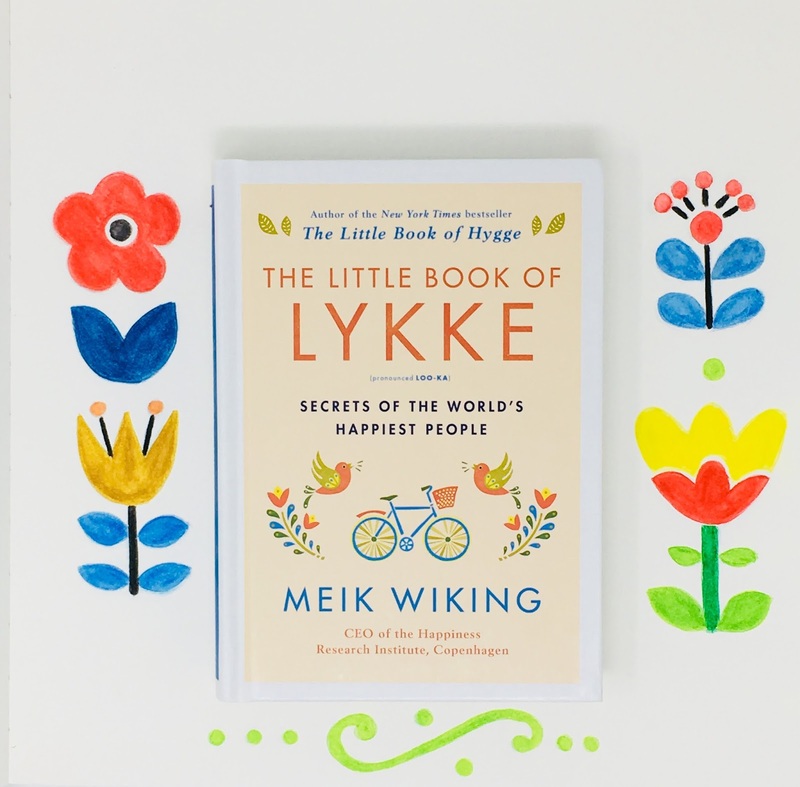 Today I'm reading The Little Book of Lykke by Meik Wiking. 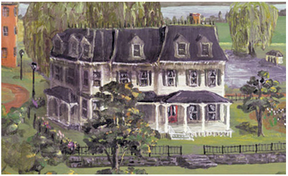 He's the same author who wrote The Little Book of Hygge, and you can read my review of it HERE. This book has made quite an impression on me; as a result I chose "lykke," pronounced LOO-KA, as my word of the year. Lykke is much easier than hygge to translate: It simply means "happiness." I will make a conscientious effort to pursue happiness in 2018 with the help of the research outlined in The Little Book of Lykke. This book looks at six major factors that contribute to happiness based on research: togetherness, money, health, freedom, trust, and kindness. Wiking discusses where in the world you find nations who do a decent job with these pieces of the happiness puzzle and which ones fail. Now obviously he's proud of his country's achievements as a happiness superpower, but he's quick to point out that his fellow countrymen are epic failures when it comes to friendliness (apparently Danes do not deign to smile very often). I love that Wiking believes happiness can be studied in a scientific manner, and I can't think of a better use for the scientific method than improving mankind's quality of life. If I can improve my happiness quotient through little adjustments in my behavior, then sign me up. As proud as Meik Wiking is proud of being Danish, I'm a proud American. Yes, I believe in American exceptionalism. But that doesn't mean we Americans can't learn from other cultures. As an example, our oldest daughter went to a high school based on the Scandinavian model, and she's now a research scientist and doctoral student at an R1 university. Obviously her high school experience served her well, and her school was very different from typical American secondary schools. Two things made me happy just reading about them in the book. The first thing is how much happier riding bikes makes people, and I couldn't agree more. I love riding bikes! It's one of my favorite things to do. Another thing I enjoyed reading about is how much books and reading contribute to happiness. Wiking explains how reading is free therapy, especially literary fiction. Oh, how redeemed I feel! I've had so many people tell me over the years how reading fiction is a big waste of time. Au contraire, mon frère! "Literary fiction enhances our ability to reflect on our problems through reading about characters who are facing similar issues and problems." I highly recommend this book if you're interested in happiness research and how happiness factors vary from culture to culture. Nope! You're not seeing double! 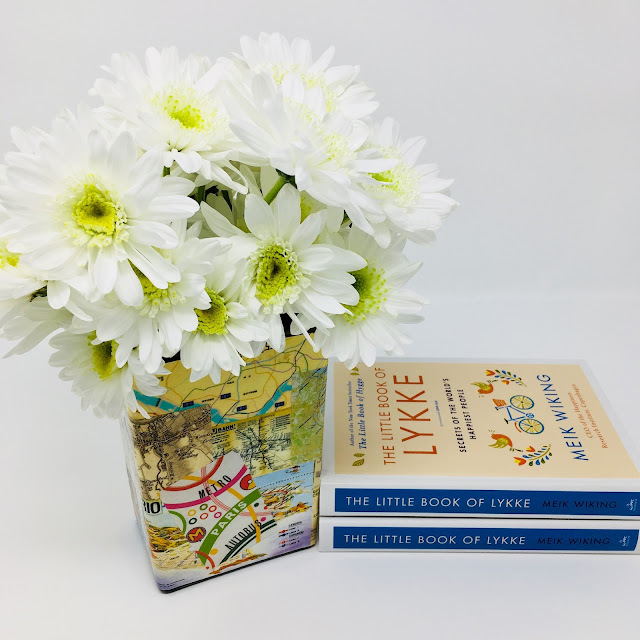 I have an extra copy of The Little Book of Lykke to give to one lucky reader! 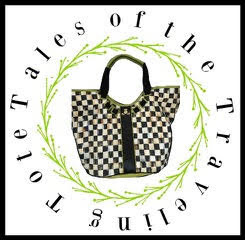 Just fill out the Rafflecopter widget below for a chance to win! Good luck! 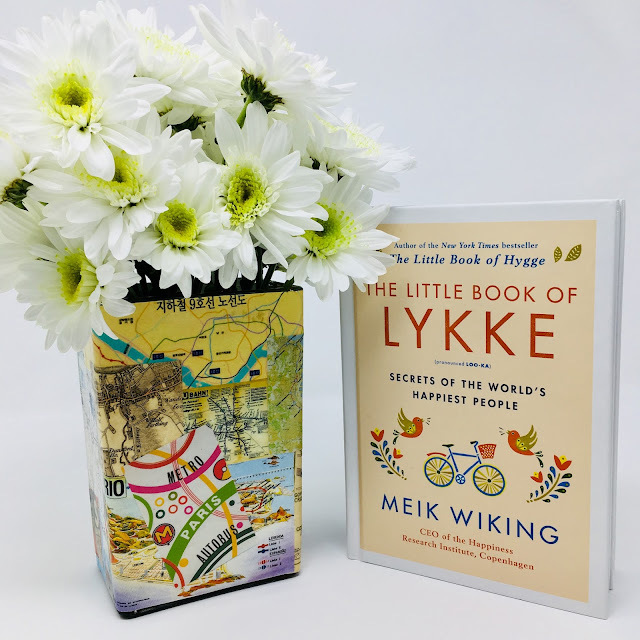 I did a double take when I read the book cover as my 2018 word is "hygge" & I did not realize Meik Wiking had a 2nd book out. What a kind gesture in sharing, have a wonderful year. I adore your 2018 word, lykke! I'm reading The Little Book of Hygge....so glad the author shared how to pronounce these words! I think you've chosen very well. This is on my reading list for 2018 -- I love hygge so much (that was my word of 2017). I have a gift card -- maybe that's a good use for it! I finally got my 2017 book wrap done. Now I'm working on my word. I can't seem to get this done in a timely manner! And thanks for entering me in the drawing! A positive attitude is the most important accessory one can have! Sounds like a very inspiring book...I have to make reading more of a priority this year! I was so glad to read your comment about reading fiction, amen! So sweet of you to share your new find! I'm extremely intrigued! This sounds like an excellent read, and one that a lot of people should probably check out! I really want to read this one for sure! I've not chosen a word..I'm not sure if I will. your chosen word is perfect though.